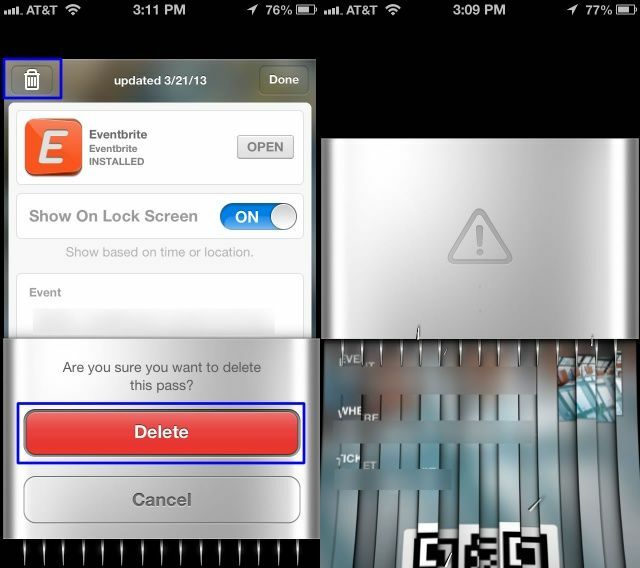 Passbook’s virtual ticket-shredder was one of the little touches in iOS 6 that wreaked of ugly skeuomorphisism. Now that Jony Ive has declared war against all of Scott Forstall’s tacky skeuomorphic UI elements, the Passbook ticket-shredder is now a thing of the past. When you delete a card in Passbook now it just zaps away into the digital ether, rather than sending your virtual card through a virtual paper shredder that virtually obliviates your ticket so you know it’s deleted and no one can rummage through your virtual trash and piece together all the shreddings to steal your identity.